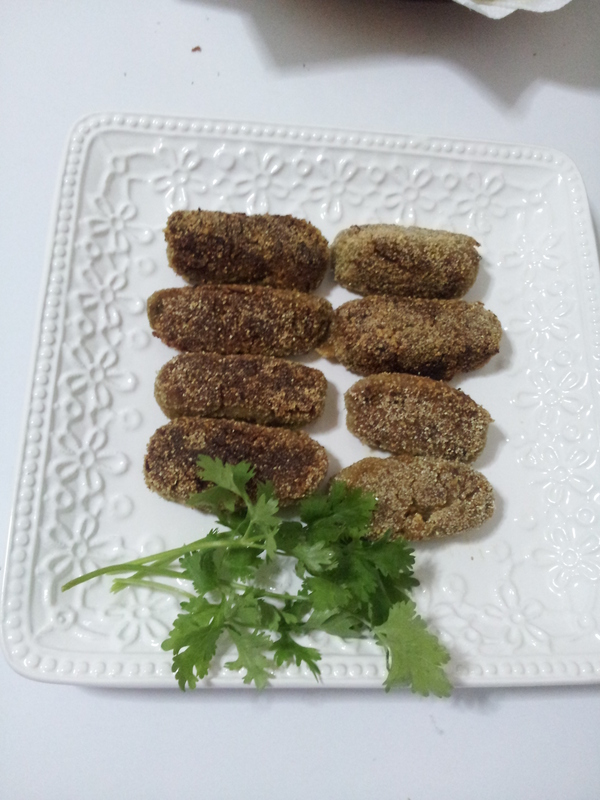 Beef Croquettes | My Cooking Diaries "CooklikeCecilia.com"
A croquette is a small breadcrumbed fried food roll and in Goa the ‘Beef Croquettes’ are immensely popular and very commonly served as appetisers on any and every occassion. A goan poi with butter and two croquettes would satisfy the palate and stomach anytime of day! Time: couple of hours cooking, cooling etc. Combine ingredients upto turmeric powder, add salt, ¼ cup water and cook till almost dry. Set aside to cool down a bit. Break the break into pieces and add to the cooked mince with the garam masala, lemon juice and coriander. Mix well and grind to a fine paste. Add egg and mix well. Chill the mixture for half an hour to make it easier to handle. Shape the mince paste into small cylindrical rolls and roll in rawa to coat. Remove and shallow fry in a pan on medium flame till lightly brown and crisp. Keep turning the croquettes so that they are evenly browned on all sides.